Desjoyaux is specialized in building public swimming pools, and will assist you with all your projects, guaranteeing safety and comfort thanks to its specially adapted equipment. Desjoyaux pools aren’t just found in backyards; Resorts, water parks, hotel chains and community recreation centers also feature our quality craftsmanship. Our efficient construction process, durable structures and low-maintenance filtration make Desjoyaux a smart choice for commercial property owners. From a small communal pool to a full 50 meter Olympic swimming pool, it does not matter how small or big your plans are for your public pool. We have got you covered. Desjoyaux has built more than half a million pools. As the world’s leading in-ground swimming pool manufacturer, Desjoyaux installs more than 15,000 pools every year. There are a multitude of advantages in choosing a Desjoyaux pool over a conventional pool that is built using concrete and tiles and which requires a system of pipes and a pool house. Our filtration system does not require a pool house or any pipes to pump the water around. That means construction time is less and there is no premium land used for constructing the pool house. Furthermore the operating costs of your swimming pool are lower due to less use of chemicals, electricity and water (no backwash required). The shape and size of your pool are determined by assembling a series of panels that form the structure’s “active permanent casing”. 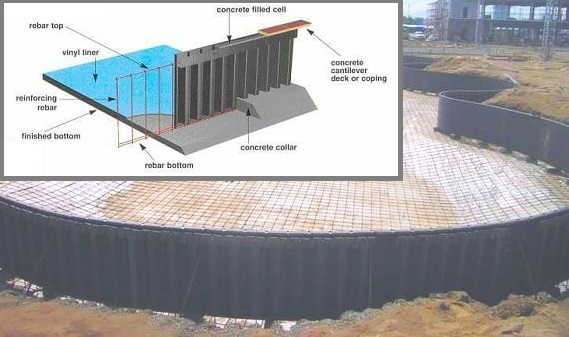 This exclusive process ensures that the pool is strong and long-lasting, while offering great creative freedom in terms of its design; the installation technique maximizes the pool’s service life by casting a reinforced concrete bed-slab and by installing the reinforcement and casting the side-walls in a single operation. Your Desjoyaux pool is a rot-proof, single-piece self-supporting structure. 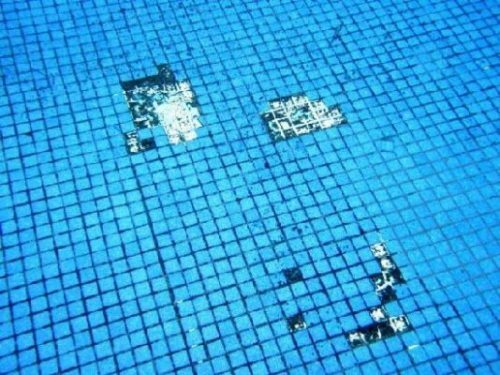 Tiles and grouting deteriorate due to UV and chlorine in the water. After just a few years you could experience dangerously sharp cracked tiles, missing tiles and leaks. A much seen complaint on Tripadvisor from hotel guests is the bad condition of the hotel’s tiled swimming pool. Closing the pool for lengthy repairs and regular maintenance is costly and certainly bad for business. The use of a liner prevents all the problems associated with tiles. Desjoyaux’s legendary craftsmanship creates an extraordinary PVC liner that ensures your guest’s in-pool comfort and safety. Our expert installers affix the liner to the pool structure using welded liner locks. This ensures a watertight construction, which is UV resistant. The liner comes in several colors and is covered with a 10 year warranty, even when commercially used! Desjoyaux uses Western standards when constructing and installing your pool. That means a tidy work area, exactly following plans and blueprints, and no cutting corners when it comes to the use of specified highest-quality materials. 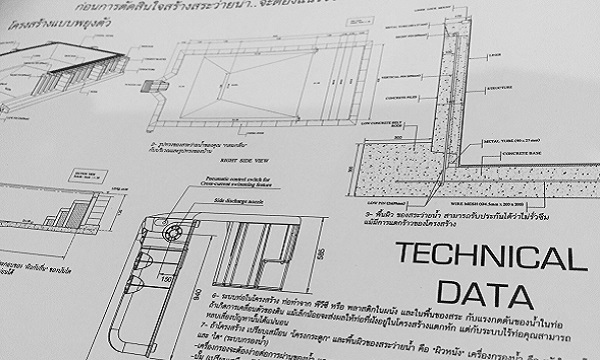 Desjoyaux’s structural panels, PVC liners and filtration units are all manufactured in France, and are covered by the best warranty in the industry. We are fully compliant with local building regulations in the Building Control Act and Town and City Planning Act, and can work together with your on-site contractors and sub-contractors during any stage of the development of your property. After completion of the installation we offer regular pool-care training for your staff on how to keep the pool in the best condition and the swimming water clear and clean at all times, no matter how much it will be used. 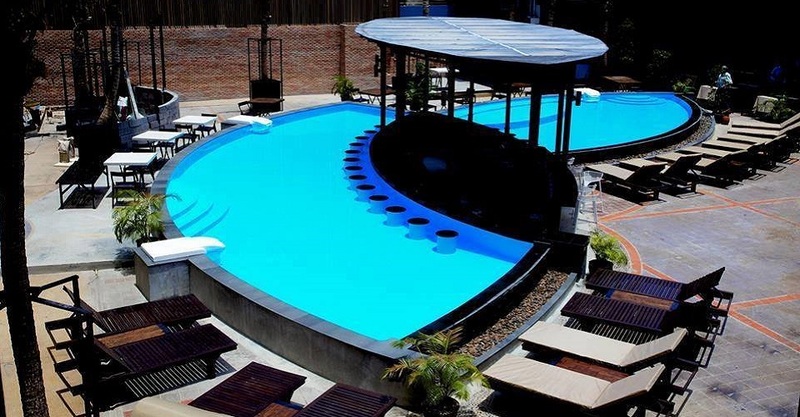 If you are planning to a build and operate a public pool, we at Desjoyaux have the know-how and experience to help you! Visit our Contact Page to schedule an appointment to learn more about our swimming pools, to plan a site survey at your location, or ask to visit one of the many public pools we built on the Thai islands of Koh Samui, Koh Phangan and Koh Tao, and see and hear for yourself why a Desjoyaux pool is the best swimming pool for your intended purpose. On the Portfolio & Reference Page you can see some of the public swimming pools we built for hotels, resorts, clubs, water parks and theme parks on Koh Samui, Koh Phangan and Koh Tao. You can also read what our corporate customers have to say about their Desjoyaux Pool and our service.